Moved by false compassion, many wealthy people believe that their own happiness will not be complete as long as others suffer from having less. This attitude leads them to philanthropic sentimentalism. They feel a certain personal well-being in materially helping not only the truly needy, but all those less fortunate than themselves. To assure their own happiness, they become philanthropists. In turn, this philanthropic sentimentalism prompts them to desire the elimination of the supposed root of “unhappiness,” that is, social and economic inequalities. 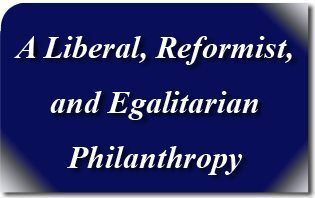 In this way, a reformist tendency that is fundamentally liberal and egalitarian, is born in order to transform society in a revolutionary way. 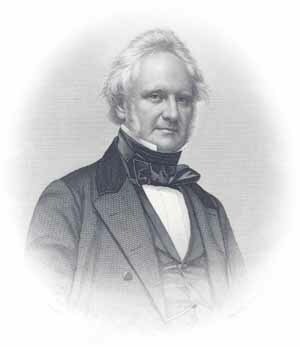 George Peabody – the founder of modern philanthropy. For example, this inclination manifests itself in American foreign policy, which is frequently oriented by liberal principles. This policy strives to impose liberal democracy which, according to its mentors, is the magical answer to the woes of poorer countries. In the Unites States, liberal and egalitarian reforms of a socialist nature often come from the revolutionary elements of the higher classes and not from the working classes. Plinio Corrêa de Oliveira, Nobility and Analogous Traditional Elites in the Allocutions of Pius XII: A Theme Illuminating American Social History (York, Penn. : The American Society for the Defense of Tradition, Family, and Property, 1993), American Appendix, p. 198. This entry was posted in Plinio Corrêa de Oliveira and tagged class, compassion, Correa de Oliveira, economic, egalitarian, equality, false, happiness, liberal, philanthropy, Plinio, poor, reformist, revolutionary, root, social, socialist, TFP, work by Plinio Corrêa de Oliveira. Bookmark the permalink.